Riddle me this: Three frogs are sitting on a lily pad and one of them decides to jump off the pad and swim to shore. How many frogs are left? Answer: 3, because deciding to take an action is often a world away from actually, you know, making the leap. 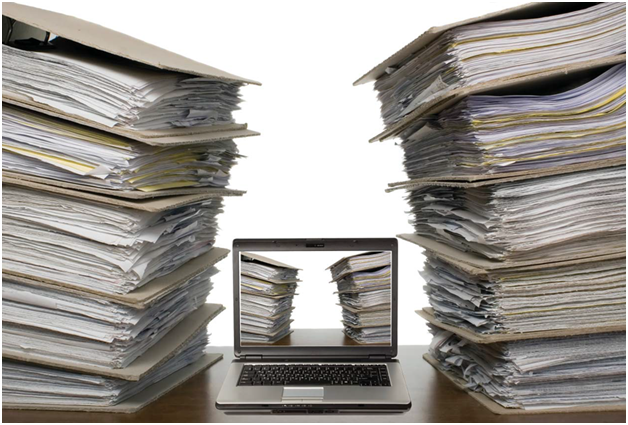 Many companies and organizations aiming to go paperless with their document management system are familiar with this phenomenon. How do you get past it? First, make a decision to convert your paper, microfiche and microfilm documents to a digital format, but that’s not enough. If you don’t want to lose your momentum, you need to create a project management team right away. Implementing the required changes involved in a digital imaging conversion project will require leadership from senior management, most often the CIO or CEO. But in order to maintain records management quality control, it’s important that all the major stakeholders be represented on your project management team. And by stakeholders, we don’t just mean high-level managers. You will need to work with the people who actually do the work, who know your current procedures and who can point out the obvious show-stoppers well before a new process is implemented. Senior Management – Any major changes to the way a company does business will need the support of its senior management team. Each manager in the organization will take his or her cue from senior management as to how much support they will offer and how many resources they will provide for the conversion of business records to a digital format. If the initiative to digitize business records is important to the C-suite, that sets the tone for the whole endeavor. Project Leader – Your project manager’s role is to help gather requirements, set schedules, assign tasks and action items, and to balance resources across the entire document scanning project. This critical role ensures that all project participants are working toward a shared set of requirements and keeps everyone moving toward agreed upon goals. Legal and Regulatory – These team members will share their expertise and experience in the area of risk management, regulatory requirements and compliance. They can also help you determine your records retention requirements for legacy documents, which in turn will help you determine the scope of your document imaging project. Operations – Your front line personnel are the subject matter experts (SMEs) in their area and your best resource when it comes to defining your current processes. Identify SMEs from each area and add them to your team so you can get the best ideas on how to streamline and perfect your document management processes. IT – It is imperative that your IT department understands your business objectives.IT, end-users, and management should work together to set business rules that will drive your business applications. Armed with this information, your IT team can integrate existing databases with files previously stored on paper, microfilm and microfiche. Records Management – Beyond integration, an effective electronic records management system requires an indexing strategy to ensure all the personnel who need to access electronic records can do so easily. In addition, organizations must track sensitive business records and manage the various life cycle requirements of different kinds of documents. This team, along with legal, will establish guidelines on the disposition of records, whether by secure shredding services or other document destruction means, to ensure compliance requirements are met. Creating a project management team establishes resources to help eliminate the paralysis of analysis so you can make the leap into digital imaging services. 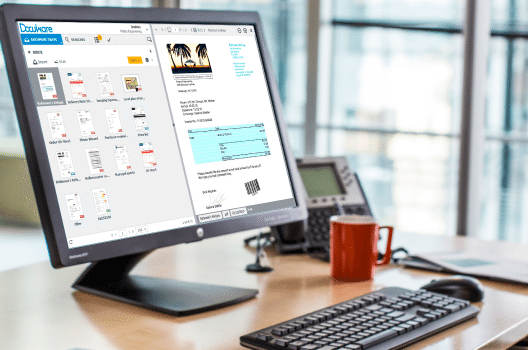 For more information about saving time and money with document imaging services, download our FREE eBook, Manufacturers: What Document Management Solution Is Right For Your Business.